This is the simple and natural way, how to clean hardwood floors with no streaking or cloudiness. The floors in my home are oak, and on the lighter side. The picture below is our living room, and gives a good example of what our floors look like, in case you are wondering. 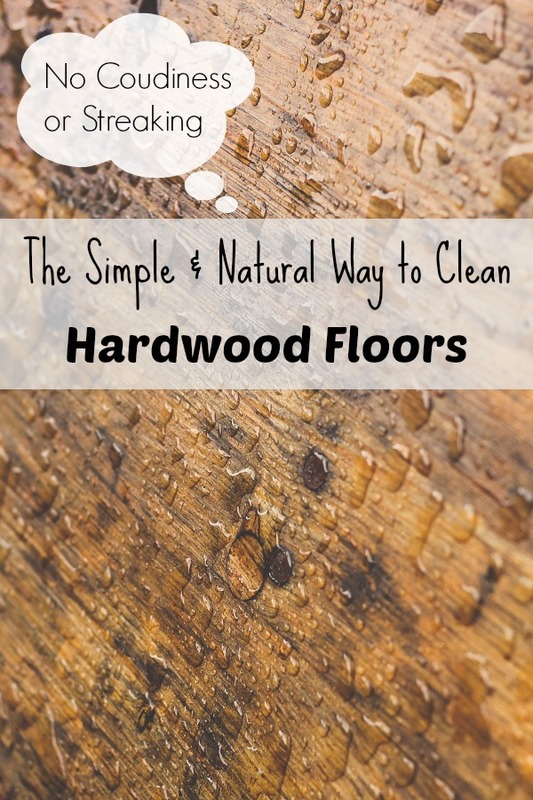 Today I am going to share with you a very simple way to clean your hardwood floors. I have tried a lot of different methods, and this is by far the best way to clean your floors, and it will be streak free! The floors in our old house were a darker and smoother wood, but I am not sure what type they were. This is the family room of our old home. I miss that house, I loved it. Cleaning your hard wood floors seems like a simple task, right? Only I never could get it right. Not until now, that is. I have finally realized that I was making it too hard, with mediocre results. For years I would use my Swiffer with the hard wood floor cleaner for day to day use, and occasionally a bucket with some type of cleaning solution and a sponge mop if I really wanted to clean good. The problem was that my floors would look cloudy afterwards, like there was a film over them. I was never happy with the end result. It was even worse in the house I live in now, with the oak floors. To look at them, I thought I would have an easier time keeping them clean. And to some extent that is true. You can’t see dirt on them as easily. But when I used my usual cleaning method they looked really cloudy and filmy. Is filmy a word? Oh well, that is what they seemed like. I was visiting a friend several months ago who has the exact same wood floors I have, only hers looked shiny and beautiful. Not only that, but this woman is a cleaning goddess. I swear, her house is the cleanest house I have ever been in. Hands down. I asked her for her secret, and it blew my mind! I have been using it ever since, and my wood floors have never looked better. Would you like to know how she, and now me, keep her floors looking shiny and new? Well, I am going to tell you. You will need two things. Very warm water and a microfiber mop. That is it! Here is the mop I purchased after she shared her secret with me. You can purchase different pads to put on it for other uses. It is very simple. I just remove the pad and get it wet with very warm water, as warm as I can stand with my bare hands. I wring it out, and I start mopping. When the mop gets dirty, rinse and repeat. And that is it! No need for any cleaning products at all! 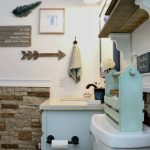 It seems so simple that I never really considered sharing it with you on my blog, but then I started thinking, I had a problem getting my hard wood floors to look clean and shiny for years, and if I did, maybe other people out there have that problem too. So why not share a tip that changed the way I clean my wood floors forever? The microfiber mop pad has these little blue stripes that are rough, so they scrub the floor good, and well, if you have ever used microfiber anything you know how effective it is. It just grabs up the dust and dirt. And the best part about this mop is when you are finished cleaning, you can just throw the pad in the washing machine. I don’t dry mine because I am afraid it will shrink. But even if it would shrink I can buy just the pad and not the entire mop. I highly recommend this wood floor cleaning method. It is simple, natural, and effective. Give it a try! You will be glad you did! My wood floors have never looked better! Oh Kelly, I am so happy that you were able to use this tip! It really was a game changer for me! I love it when I get comments like this!